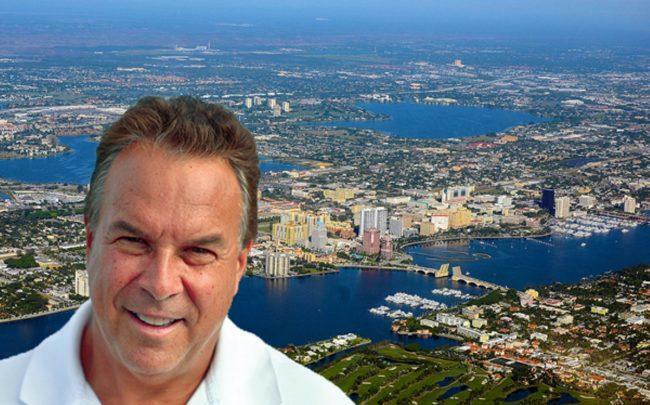 Billionaire Jeff Greene plans to develop several high-rise condominium buildings in the Northwood area of West Palm Beach, where he owns 20 acres near waterfront Currie Park. Greene would ask the city to approve the high-rise condos as tall as 38 stories in an area with a 13-story limit on building height. The billionaire and former gubernatorial candidate would build as many as six condo buildings along Currie Park, now a haven for homeless people. Taller condos would allow for more green space at ground level, said Jason Frantzen, a senior partner of Herzog & de Meuron, a Switzerland-based architecture firm that Greene hired to design his condo project. Herzog & de Meuron is a renowned firm that designed the Bird’s Nest stadium for the 2008 Summer Olympic Games in Beijing and the Pérez Art Museum Miami. At 38 stories, the condo project Greene is planning would be about eight stories taller than any other structure in West Palm Beach, including One West Palm, his mixed-use development downtown under construction at 550 Quadrille Boulevard.